In his first official interaction with the media after taking charge commissioner of Police TG Krishna Bhatta laid down his top priorities. Top on his list are Streamlining of Traffic in the city and also the overloading issue of vehicles carrying school children. In the past week after taking charge Mr.Bhatta has visited many police stations and got to know the situations in each one of them. Also on his list is the construction of the new office for the Commissioner police in the next 18 months. He said he studied and seen the traffic chaos and will give first preference to solve the same. Law and order is also an important part and also he pressed that improvement on the conditions of the police staff of the lower level is of utmost important. 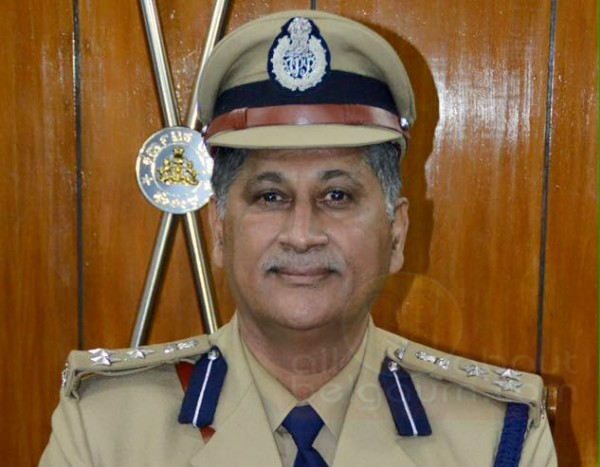 Congratulations on taking over as Commissioner of Police. We have a few suggestions for management of traffic in Belagavi, which may be considered by you. This will avoid 2 wheelers plying all over the road, ensuring safety for themselves & other users. Vehicles do not slow down at pedestrian crossings, and accelerate to rush before pedestrians cross. 3. Fix CCTV cameras on Kirloskar Road, Ramdev Galli (one ways) to capture and penalise compulsive parkers, and wrong-side goers, apart from hawkers. Welcome sir,I have a request to be made.please reduce the number of old city buses,autorickshaws n private vehicles which emit a lot of smoke,people walking by foot and riding on two wheelers get suffocated.there are lot of schools adjacent to main roads,so kids are directly inhaling the pollution created by these vehicles.why should everyone’s health suffer just because someone wants to enjoy his ride on old smoke emitting vehicles.even lot of the city buses emit huge smoke.please look into it. Welcome to Belagavi, Mr Bhata. We look forward to to your new assignment and that you fulfill your promises. One of the biggest problems the citizens face is the fares that autos charge. Many of your predecessors came ,saw but could not solve. Caesar once said “I came, I saw and I conquered” Please live up to your promises and you will be remembered. Best of luck.